Join Inta Africa’s large scale African drum workshop & high energy stage performance. The team is made up of highly skilled workshop facilitators and musicians. Go on a journey of high energy rhythms whilst the team add drums, didgeridoo, flutes, vocals and percussion over the top. 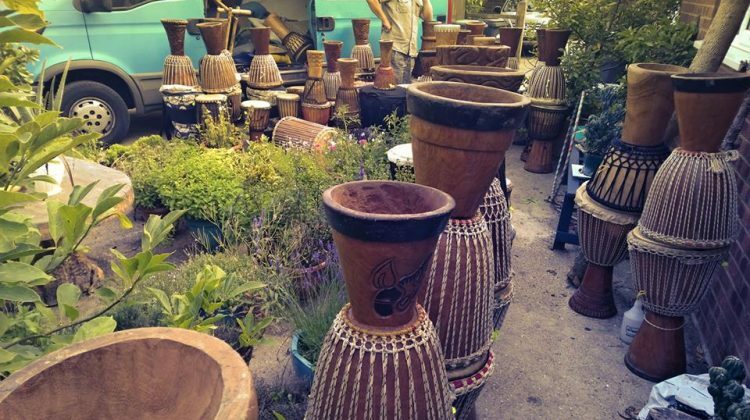 Pick one of one hundred high end African Djembe, Djun djun and Saber drums. Leave this workshop on a high feeling united with your co participants.